Citrus, olives, passion fruit, figs, custard apples and a wide range of ornamentals including gardenia, oleander, ferns and palms. 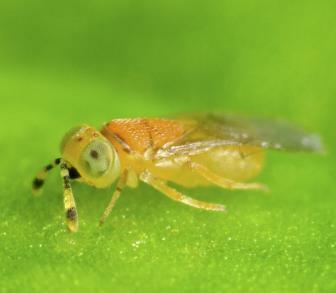 Mass production systems for Metaphycus wasps are under development. Small quantities should be are available for inoculative releases. Metaphycus are generally released as adults but may be despatched as parasitised pupae inside the soft scales bodies. Releases will be inoculative, so release wasps where soft scales are known to exist and try to control or reduce ant populations in the release vicinity beforehand. Or view or download a PDF file of the Book entry for Metaphycus.